Fred began protecting the rights of Idaho working people in 1988. Indeed, he helped shape Idaho law through briefs and argument which extended the statute of limitations for injured workers in Idaho. (Ryen v. City of Coeur d’Alene, 115 Idaho 791, 770 P.2d 800 (1989).) Fred has continued the fight to make sure working people in Idaho are paid all their benefits. (Corgatelli v. Steel West Inc., 157 Idaho 287, 335 P.3d 1150 (2014).) Fred’s recently victory before Idaho Supreme Court established a rock solid ruling that gives injured Idaho workers the ability to defeat claims made by Idaho worker’s compensation insurance companies requiring the injured worker to pay back worker’s compensation benefits if they obtain a recovery from a third party. (Maravilla v. Simplot, __ Idaho __, 387 P.3d 123 (2016).) These three cases have and will continue to result in the payment of millions of dollars in additional benefits to injured Idaho workers. Martindale-Hubbell established a rating system for lawyers over 100 years ago and it is still the trusted gold standard indicating which lawyers have the highest ethical standards and professional ability. 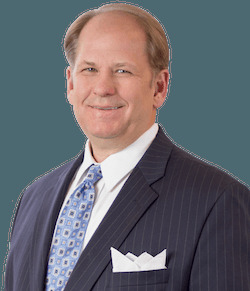 Martindale-Hubbell’s “AV Preeminent” Peer Review Rating award is bestowed on fewer than 5 percent of all lawyers nationwide and it is a testament to the fact that a lawyer’s peers rank him or her at the highest level of professional excellence. Based upon a vote by Idaho lawyers and judges, Martindale- Hubbell has awarded Fred the “AV Preeminent” Peer Review Rating Award in workers’ compensation and personal injury cases. Martindale-Hubbell has also awarded Fred the “Client Distinction” award for 2013, 2014, 2015 and 2016, based on all 5 out of 5 star client reviews posted on its website. AVVO.com is nationwide online lawyer rating and referral website with rankings on 97% of all the lawyers in the nation. AVVO.com has awarded Fred a 10.0 out of 10.0 lawyer rating in Workers’ Compensation. 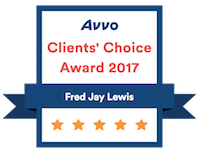 AVVO.com has also awarded Fred the “Clients’ Choice” award in Workers’ Compensation for 2015 and 2017 based on his outstanding client reviews posted on its website. 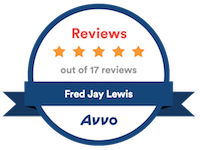 Fred has more 5 out 5 star reviews on AVVO.com than any other worker’s compensation lawyer in the entire State of Idaho. Lifetime income benefits awarded by the Idaho Industrial Commission to a social worker. Lifetime income benefits awarded by the Idaho Supreme Court to a Simplot maintenance worker. Lifetime income benefits awarded by the Idaho Industrial Commission to a Simplot machine operator. Lifetime income benefits awarded by the Idaho Supreme Court to a steel worker/truck driver. Medical benefits awarded by the Idaho Industrial Commission for an experimental back surgery to a nurse’s aide. Sixty percent disability benefits awarded by the Idaho Industrial Commission to a maintenance worker. Statue of Limitations extension awarded by the Idaho Industrial Commission for a UPS driver. Thirty-three percent disability benefits awarded by the Idaho Industrial Commission to a deli cook. Medical benefits, time loss benefits and impairment rating awarded by the Idaho Industrial Commission to a ranch hand/cowboy. Fred comes from blue collar roots. His father, Max, was a committed lifetime member of the Teamsters Union. Growing up in a blue-collar working class neighborhood of honest hard working people instilled a passion in Fred to fight for those injured in the workplace. He and his wife lovely wife Ann have three children and six grandchildren. Fred is a lifelong fly fisherman, big game hunter and fan of the Boston Red Sox. Fred practices law so he can help working people obtain the money and benefits they are legally owed when they are injured and need it the most.